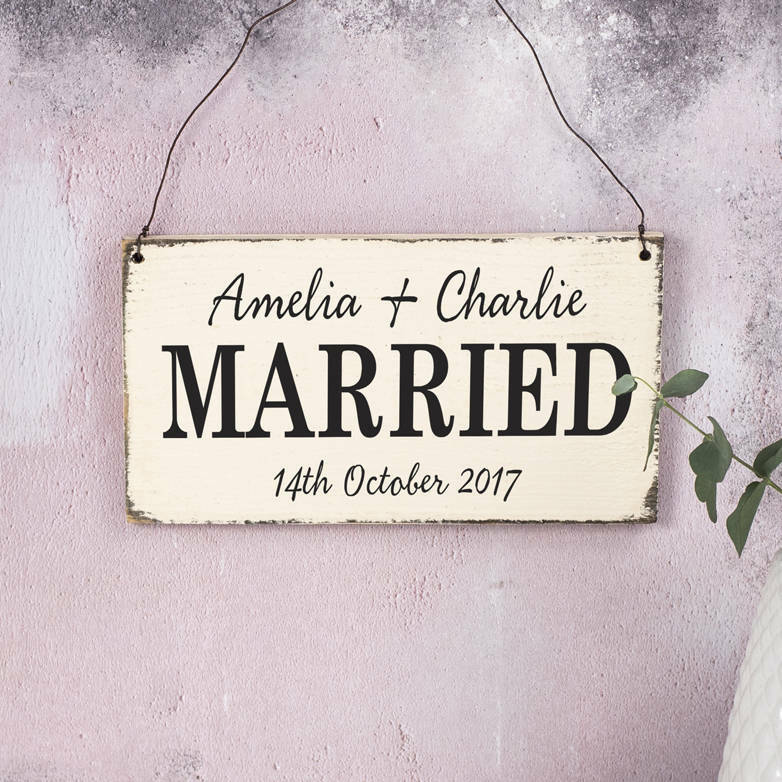 Our personalised wooden wedding sign makes a lovely gift for a couple on their wedding or anniversary. A unique personalised sign for a couple. 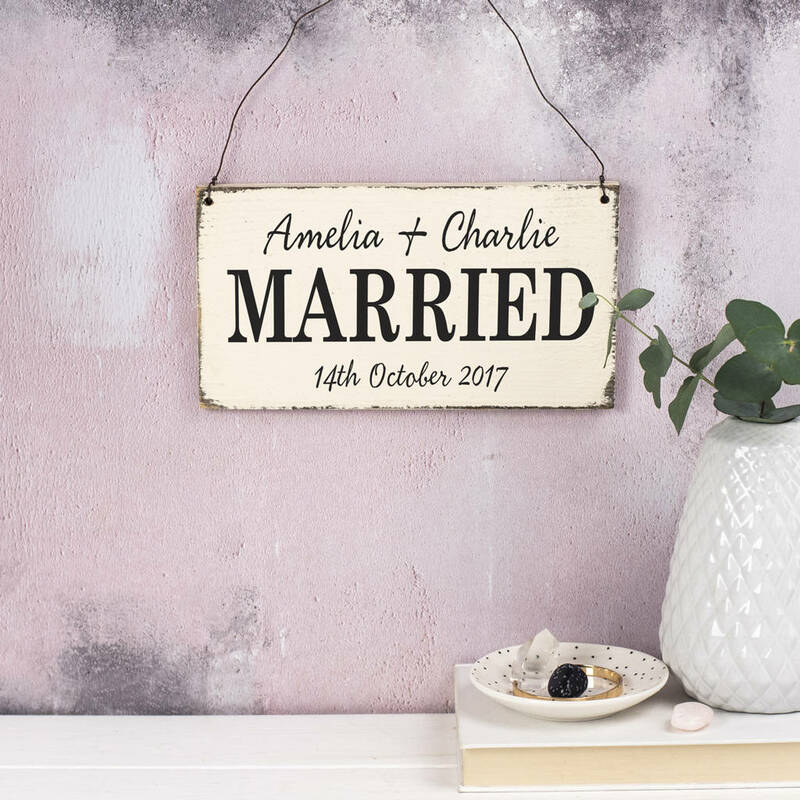 What a thoughtful gift this personalised wedding sign makes, and a lasting memento of a special day. Perfect as a wedding gift or a 5th anniversary gift - 5 years being wood. A personalised wedding sign looks delightful hanging at the reception, in the back of the bridal car, on the top table. Or simply carried by a bridesmaid or pageboy. Fits beautifully with a vintage or classic styled wedding. After the big day your married sign makes a beautiful keepsake to treasure for years to come. 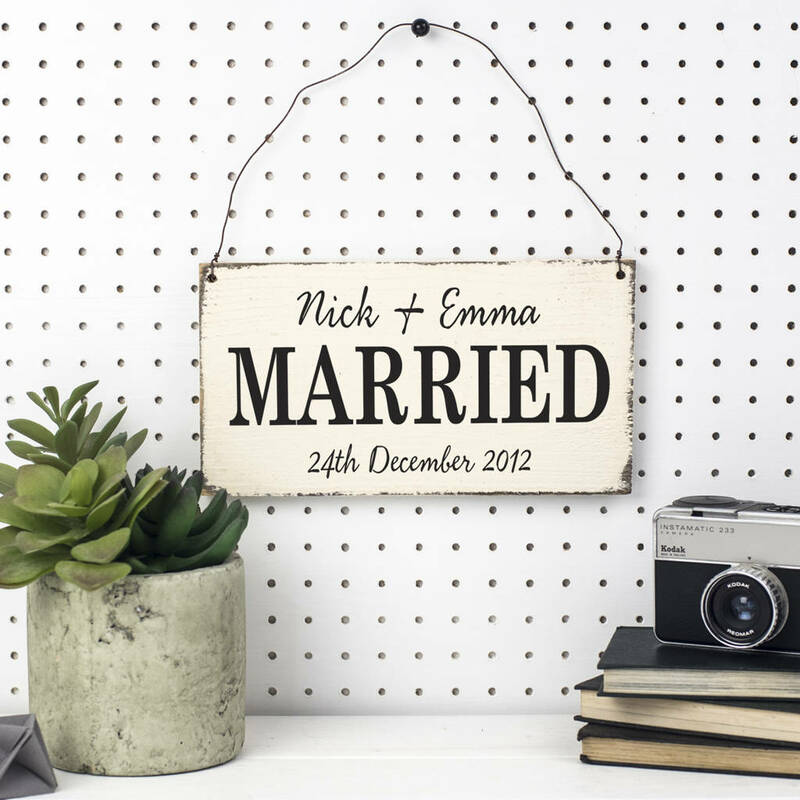 Personalise your wedding sign with the names of the happy couple to create a lasting reminder of the special day. Also makes a thoughtful and unique gift for friends or relatives on their wedding day or anniversary. Handmade in our Derbyshire studio, this delightful Wedding Sign features black lettering on a faded cream background creating a timeless style. The word 'MARRIED' is fixed, but we can add the name of the couple above and the wedding date beneath. Our personalised hanging wedding sign is handmade from reclaimed wood so may differ slightly from the images shown, but will always be equally as beautiful. Approximately 22cm x 12cm. We make a variety of wedding signs and table number blocks, please view our full range of handmade vintage style signs for more details. 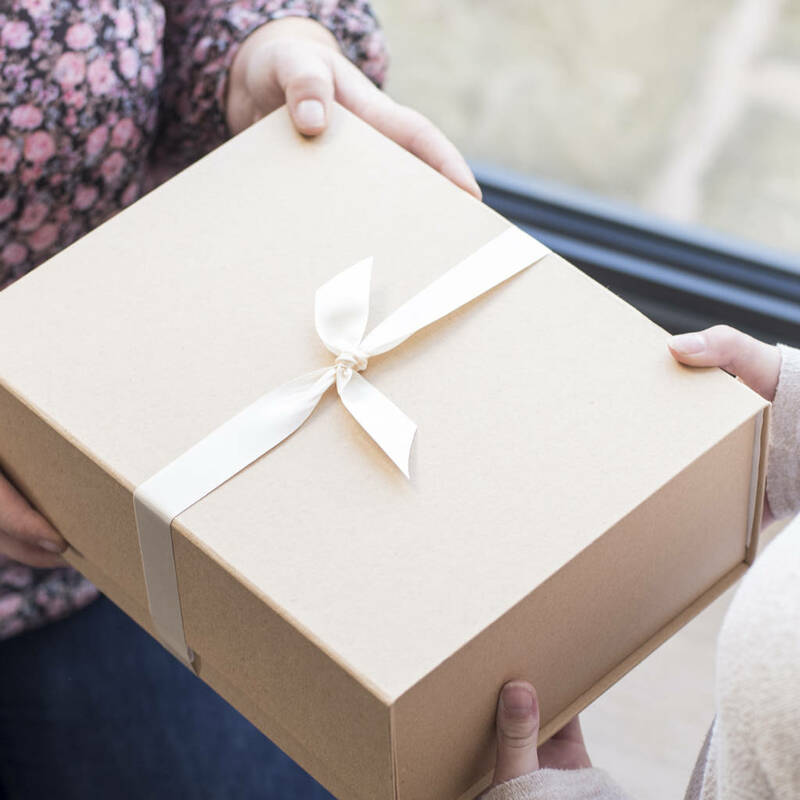 This product is dispatched to you by Delightful Living.